United States Defense Secretary James Mattis on 27 October morning visited the heavily fortified border between North Korea and South Korea known as the Demilitarized Zone (DMZ) amid heightened tensions over the North's nuclear programme. The US and North Korea have long been engaged in back-and-forth barbs over the latter's threat of a nuclear attack. According to CNN, Mattis used this occasion to mention the words of his colleague, US Secretary of State Rex Tillerson, saying that "our goal is not war, but rather the complete, verifiable and irreversible denuclearisation of the Korean peninsula." North Korea jolted major world leaders when it carried out the strongest of its six-ever nuclear tests in early September, claiming to have used a hydrogen bomb. Mattis visited the Observation Post Ouellette at the heavily-guarded border, accompanied by the US and South Korean military officials, where he was briefed by South Korean Minister of Defense Song Young-moo. The Pentagon chief returned to Seoul following his visit to the DMZ. The DMZ is 4 kms wide de facto border between North and South Korea and is dotted with military guard posts, mines and defensive structures, reported CNN. 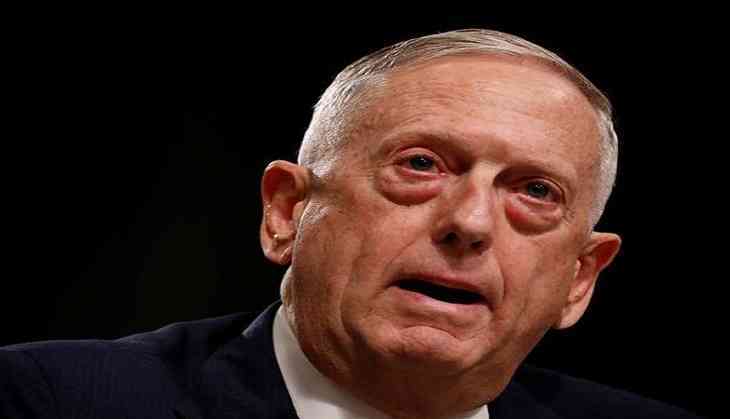 Mattis' trip to the region comes ahead of US President Donald Trump's visit to Asia in November.